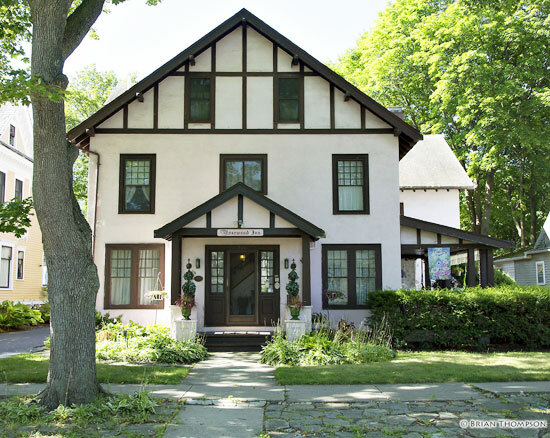 Experience the charm and hospitality of Corning, New York at the Rosewood Inn, an elegant Victorian Bed and Breakfast. Stroll the tree line streets from Rosewood Inn to the Corning's Gaffer District and discover the charming shops, restaurants and galleries along Historic Market Street. Take advantage of the free shuttle bus runs daily between the Rockwell Museum of Western Art and the Corning Museum of Glass. The new wing of Contemporary Glass is now open and it is amazing! You can even become a glass artist yourself. Make arrangements to make an ornament, flower or paperweight at The Studio or Hands on Glass. Travel thirty minutes to over thirty area wineries located on Seneca, Cayuga, and Keuka Lakes. Visit the birthplace of aviation at the Glenn H. Curtis Museum or soar in a glider at National Soaring Museum. Race car enthusiast will be attracted to Watkins Glen International as well those attending The Finger Lakes Wine Festival. Known as the "Crystal City," Corning is a small city with a cosmopolitan flair and a captivating history. It is also a southern gateway into the beautiful Finger Lakes Wine Country of Central New York. It flourishes with glass making studios, antiques, restaurants, and specialty shops. Corning has a large population of fine arts, from local glass artists and painters to famous works featured in the galleries and museums. We invite you to come and why Corning was voted the most "fun town" in America!